our next show…coming up this weekend! Over the Bank Holiday weekend, there will be Living History displays in St Lawrence Church Yard. 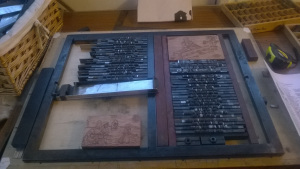 Additionally, in the Parish Hall (next to the church yard), there will be a printing press; they do have their own blog (here) if you want to know more, but have also kindly sent me some photos and a short piece about what they do to publish here. 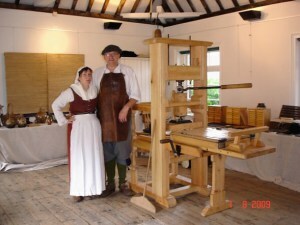 We have been bringing the Printing Press out to ECWS events since 2009.